Huge rolling beasts with shining eyes, loud honks, and colorful sides stretching all the way to the sky—once you’ve grown up, it’s hard to remember how strange and wonderful trucks can be. Cars, trucks and other vehicles are commonplace for anyone old enough to drive, but children find them almost magical. 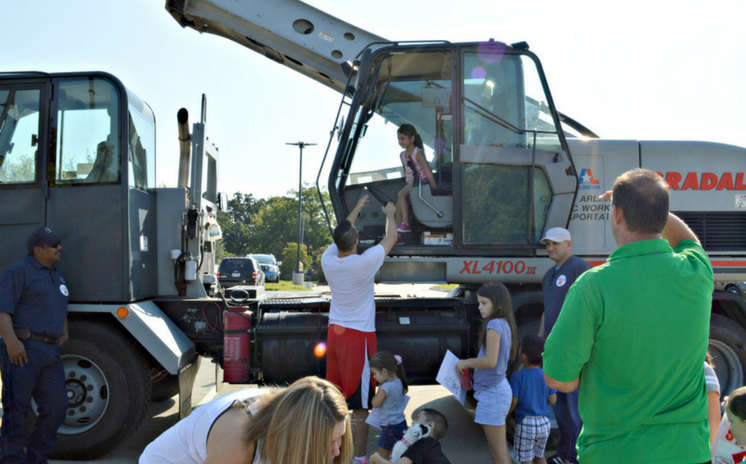 The Library’s fourth annual Touch-a-Truck gives kids of all ages a safe opportunity to experience trucks first hand. Join us December 1 starting at 9 a.m. to explore big trucks and other vehicles from the community. New this year is a quiet hour, from 9 to 10 a.m. The trucks will be quiet during this special-needs and sensory-friendly time. If your child loves trucks but not noises, come early to enjoy them without honks, horns, or beeps. All morning, children can sit behind the wheel, climb in the back, or perch on the bumpers. Drivers and operators will be on-hand to answer questions and explain how everything works. Touch-a-Truck is free and no registration is required. Join us Saturday, December 1 from 9 to 11:30 a.m. in the parking lot of the First United Methodist Church, 313 N. Center St.